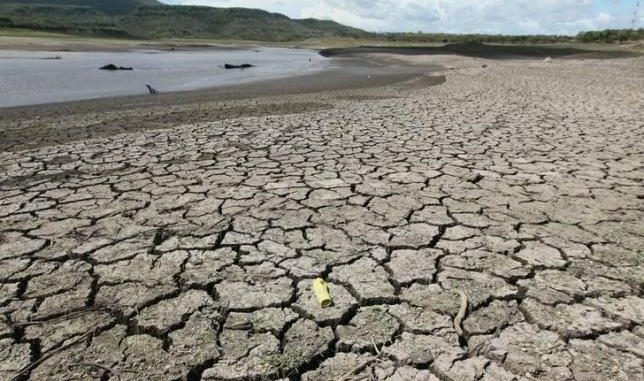 NEW DELHI : A new study by Indian researchers has shown that only 6 out of 22 river basins in the country have the potential to cope with the threat of climate change, particularly droughts. This means nearly two-thirds of the India’s terrestrial ecosystems is not resilient to drought. “The central India has been found to be the most vulnerable to climate change. Parts of northwestern, northeastern and southern India appear to be resilient to cope with droughts while the rest of the country is non-resilient,” says the study done by researchers at the Indian Institute of Technology, Guwahati. “We evaluated the ecosystem resilience in terms of the capability of an ecosystem to maintain its productivity during hydroclimatic disturbances,” lead researcher Dr Manish Goyal said while speaking to India Science Wire. The research team also included Ashutosh Sharma. Researchers compared response of river basin systems to water stress at different levels such as river basins, land covers and climate types. They have developed an ecosystem resilience map of India using high resolution remote sensing satellite data for 22 main river basins. The data productivity of a river basin and evapo-transpiration was obtained from NASA’s MODIS satellite and studied along with rainfall data from the India Meteorological Department. Drastic reduction in water use efficiency under driest conditions was observed for some basins, which highlights their inability to cope with climate change. Low primary productivity can distort the balance of ecosystem and its resistance to fight drought. “The inability of ecosystems at different scales to tolerate water-limited conditions may pose a serious challenge in terms of crop production and food security,” Goyal added. Only two types of forests—evergreen needle-leaf forest and evergreen broadleaf forest—were found to be resilient at land-cover scale. The presence of such forests in the Brahmaputra basin could be the reason for its resilience. However, forests in some parts of Western Ghats and central India were found more vulnerable to climate change. Ganga basin, the most populous and agriculturally important basin, was also found slightly non-resilient. “It is clear that forests have higher resilience to withstand the climatic disturbances. The deforestation activities, in the name of economic development and expansion of agriculture, will result in making country more vulnerable to climate change,” researchers said. The study has appeared in journal Global Change Biology.